NORPAC produces premium quality fruit and vegetable products. Their innovative poly bags for frozen vegetables became industry standard. NORPAC was founded by a small group of Oregon farmers and has grown to become a nationally recognized farmer cooperative and processor. 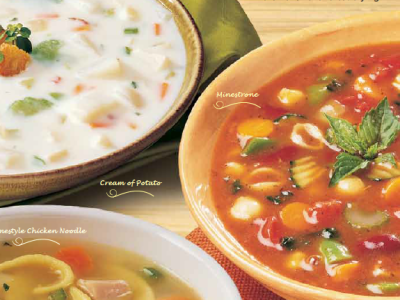 Our Soup Supreme line is made of prepared, not pre-cooked frozen scratch soups. They are easy one-step, water-add ‘scratch redefined’ soups that save time and labor. Choose from 60 varieties that are as wholesome and colorful as they are flavorful and satisfying. Frozen Vegetables make portion control the rule, not the exception, in any kitchen. You’ll be able to prepare only what’s needed and easily store the rest, avoiding losses that inevitably result in fresh vegetables from waste. Every ounce of frozen vegetables is edible … there’s no waste from peeling, coring, paring, and other methods of preparation. 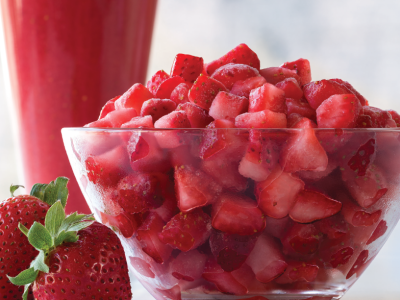 It couldn’t be easier to add pure fruit to any dish with Flav-R-Pac Fruit Favorites. Diced into tidbits and individually quick – frozen, you can use a little or use a lot. Choose from five outstanding fruits: Apple, Mango, Peach, Pineapple, and Strawberry.